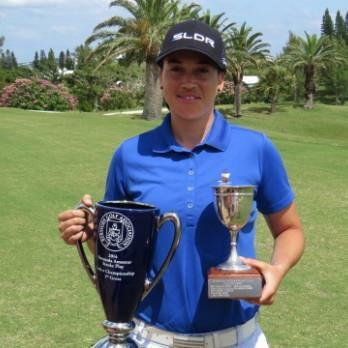 Following the recently concluded Grey Goose World Par 3 Championships at Turtle Hill Golf Club, www.islandstats.com took the time out to talk with Tariqah Walikraam who claimed the Women’s Amateur Title, after she missing last year’s defense of the title due to injury. Walikraam would shoot a 2 Round total of 16 over par 124. It was in October of 2017 when Walikraam was involved in an accident that resulted in her not being able to walk, she would take her first steps 3 months after the accident. Playing in the Grey Goose World Par 3 Championships was something Walikraam had set her sights on as she missed the 2018 event.